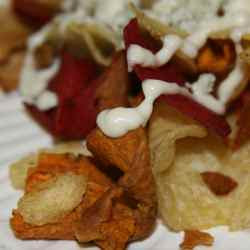 so, i finally got around to making some of bree’s rich people nacho’s. and, i was in heaven. who knew gorgonzola melted so nice? oh yay!! I am so glad you enjoyed them.